Any other time of the year, you’d dream of shopping til you drop but no one has time to drop when there’s this much to be done. Of course, you’re enjoying Christmas shopping from the comfort of your own home, but that doesn’t mean it’s a walk in the park. You’ll want to stay refuelled and energised as you shop, search for coupons, and man your inbox for order confirmations and shipment tracking, so we’ve rounded up the must-have one-handed eats that’ll keep you powering through. 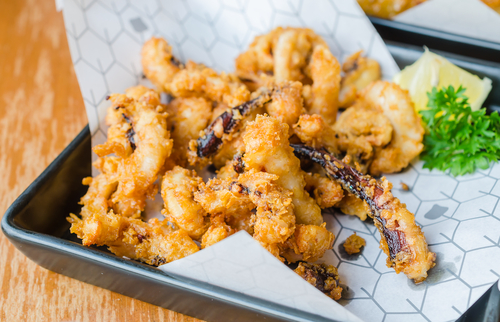 We know it’s not the first time we’ve sung praises to anything coated and fried to golden perfection, but truly, there’s nothing quite like tasty salt and pepper squid. With a shopping list as long as your distance to the North Pole, you won’t have time to find a calamari recipe to DIY. Recruit some of Santa’s elves (ahem… talented chefs) to do the hard work for you instead. 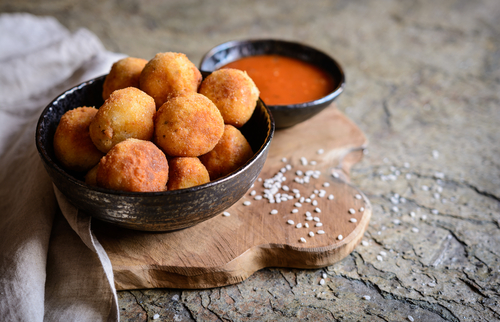 Arancini balls are like edible versions of Christmas baubles. What’s not to love? While they might not be as sparkly as baubles, or as interesting as your beloved Italian faves like lasagne or cannoli, they sure as hell make up for it in flavour. One bite of these golden rice balls and you’d think Christmas had come two weeks early. 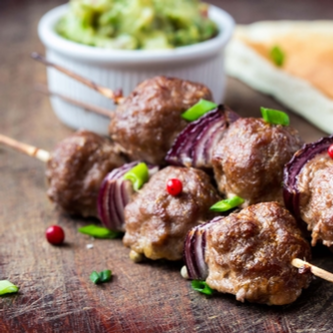 So, it might not be as festive as a juicy roast lamb on Christmas Day, but we think lamb skewers are perfect for your starring role as Santa’s little helper… surfing the net. 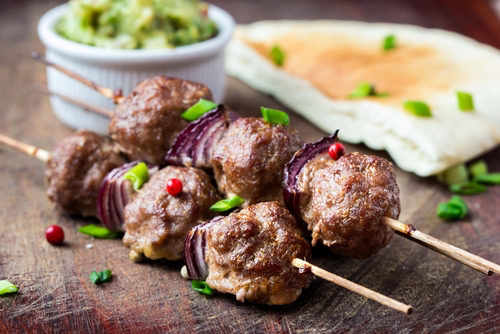 As you ferociously click with one hand, and your other hand is adorned with a skewer, your belly will be left feeling full and happy even if your bank account isn’t. 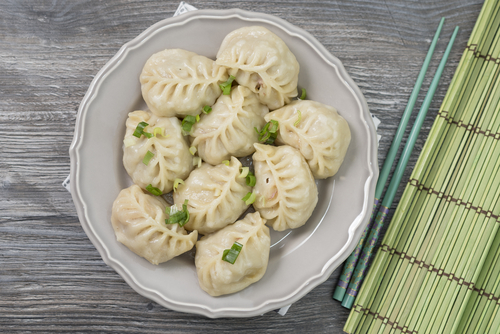 Whether it’s pork dumplings, soup dumplings or Nepalese dumplings like momos, dumplings are actual bundles of joy. They even make you do a little happy dance when they arrive at your door. Be prepared to look down and see a belly as big as Santa’s when you finish off a serving. But perhaps you’re in the sharing spirit this season and will happily spare a few. Between the stress of shopping and buying, you’ll need a little festive reminder to keep you going. 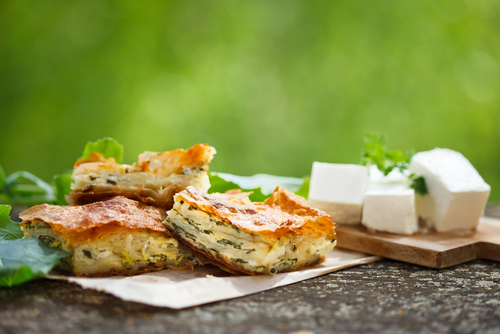 We’ve got the solution for you – flaky triangles filled with spinach and cheese (aka the best thing known to man). Not only will these crispy goodies remind you of a Christmas tree, they’re super light and semi-healthy, so you won’t feel too bad when you loose track of how many you’ve had. Go on, have just one more.